Welcome to Westgate Travel Club - a program designed to offer increased vacation options and flexibility in all of your vacation planning needs. Simplicity, convenience and choice. That's the peace of mind and enhanced value you can depend on with Westgate Travel Club. Your Westgate Travel Club membership includes enrollment in the Westgate Cruise and Travel Collection which allows special access to thousands of low-cost, high-quality resorts and hotels worldwide, all-inclusive cruise vacations and an array of extraordinary vacation packages that are customized to your needs. So whether your travel plans have you dreaming about a romantic getaway to a fabulous beachfront resort, an all-inclusive cruise vacation for the whole family or an experiential vacation to somewhere you haven't yet traveled to - your membership in the Westgate Travel Club and the Westgate Cruise & Travel Collection can easily make those dreams a reality. We wish you and your family a lifetime of unforgettable vacation memories and Welcome you to our Westgate Resorts family! David Siegel founded Central Florida Investments in the early 1970's as a real estate development firm working in the Orlando area. In 1982, he was introduced to the timeshare concept, and built 16 villas that eventually became Westgate Vacation Villas. 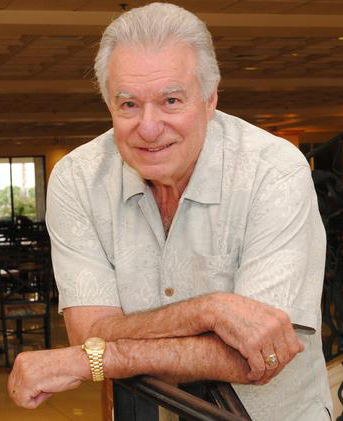 Mr. Siegel has since perfected and refined the concept, making timeshare one of the fastest growing segments of the tourism industry, and establishing Westgate Resorts as an industry leader. Today, Westgate Resorts, part of the CFI family of businesses, is vacation home to more than 600,000 timeshare owners, with resorts in Orlando, Daytona Beach, and Miami Beach, Florida, as well as Gatlinburg, Tennessee; Park City, Utah; Las Vegas, Nevada; Williamsburg, Virginia; Branson, Missouri; Tunica Mississippi; and Mesa Arizona.